Nissan has revealed its new GT-R LM NISMO and declared that it’s ready to “take on the world’s best sports car manufacturers” in 2015 by entering the innovative racer into the full FIA World Endurance Championship. This marks a return to the premier class at the Le Mans 24 Hours for Nissan with an unconventional front-engined, front-wheel-drive car powered by a 3.0-liter V6 twin turbo gas engine and a kinetic energy recovery system. 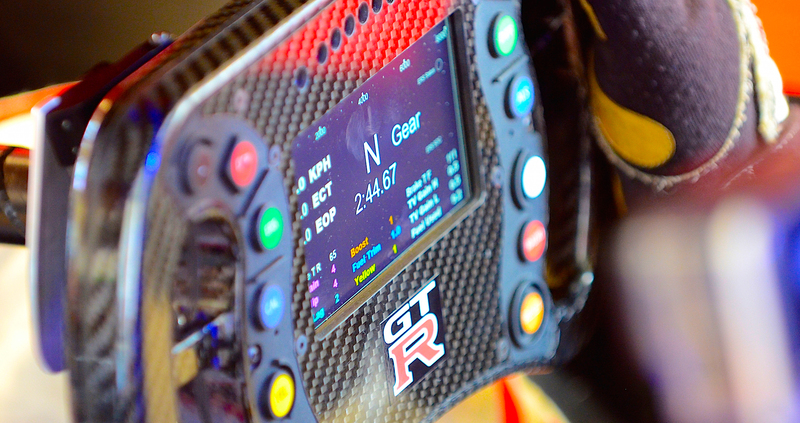 A global effort, the GT-R LM NISMO has been created by a team in Japan, the U.S. and Europe. Unlike other LM P1 cars, the GT-R’s gas engine sits in the front while the hybrid power is harvested from the front driveline to augment acceleration. Nissan might have been absent from the top class at Le Mans for 16 years, but the company has been active in other categories building a sports car line that runs from the new LM P3 category, to an engine supply program in LM P2, and the top step to LM P1 via the ACO’s clever “Garage 56” program, a unique class at Le Mans reserved for innovative technology that falls outside of the normal regulations. 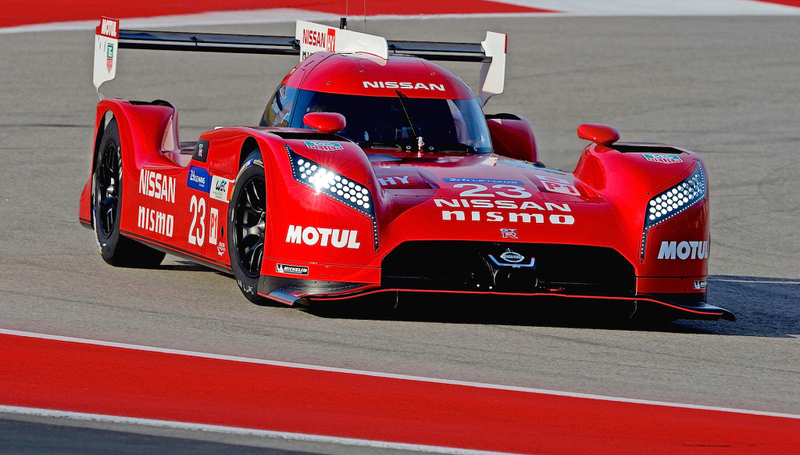 Nissan also announced that the first driver of its Le Mans challenger will be Marc Gene. The Spanish racer has a lengthy record in LM P1 racing with eight LM P1 Le Mans 24 Hours races under his belt. Gene’s experience is in demand and he’s been a test driver at Scuderia Ferrari since 2005. LM P1 cars are some of the most extreme sports cars in racing today. The FIA World Endurance Championship provides manufacturers with the opportunity to develop new technologies for its road car range. With energy-efficiency being the key, there’s perhaps no greater test for technology than a 24-hour endurance race where the gap between first and second place can be a matter of seconds. The FIA World Endurance Championship is called the ultimate proving ground for automotive companies as technological gains on the track can carry through to the showroom. Racing car engineers are facing the same challenges as road car engineers as the spotlight falls on energy efficiency. With more technical freedom than Formula 1, LM P1 engineers have ample opportunity to innovate. 68-liter capacity FT3 fuel tank featuring electric lift and feed pumps. ERS housed ahead and beneath driver’s feet in self-contained module. Carbon-composite body panels. Polycarbonate windscreen with hard coating CFD and full-scale wind tunnel developed ultra high-efficiency bodywork geometry, adjustable rear wing. News source, photos and videos from Nissan USA and Nissan Motor Co. Ltd.